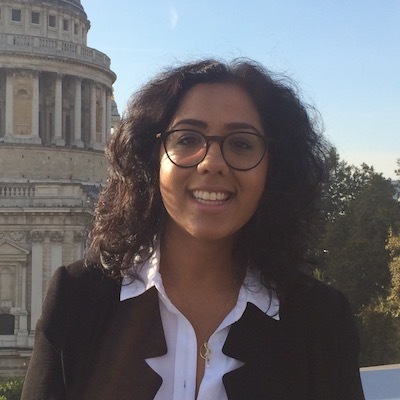 Zainab studied History of Art at UCL and worked as a programme director for an educational charity before embarking on her GDL at BPP Law School. She had a calling to law because she wanted to work in a stimulating environment that allowed her to deliver positive outcomes on a daily basis. Having a strong desire to help people, she taught legal literacy in secondary schools whilst completing her studies. Zainab had her first taste of employment law whilst working in the NHS’ legal department. She understands that getting the working relationship right is often paramount to happiness. At Jones Chase, each day is interesting and different. Zainab is fascinated by the fact that each business has its own culture and value system, and that legal advice needs to be adapted to suit each individual client. She is particularly proud of working with such a varied client base, which allows her to be a better representative for all who she assists. Preparing data subject access requests. It was a real pleasure working with Zainab. Whilst she was detailed, prompt and accurate with her work, she was also very considerate, caring and responsive. I am very confident that Zainab will continue to deliver a 1st class service going forward. After a traumatic and stressful experience at work over several years, it was difficult to trust anyone. However, I found Zainab to be sympathetic, understanding and very thorough with the insurmountable task of going through hundreds of emails, numerous minutes of meetings, telephone calls amongst other things. Always kept me in the loop which helped my anxiety levels. It has been an absolute pleasure working with Zainab. She has been attentive, professional, and diligent and secured a great outcome for me. I would be only too pleased to recommend her. What belief led you to pursue a career in law? I am attracted to law because I want to help people. Employment law in particular strikes a great balance between being intellectually demanding work and, at its core, being about people. Working life occupies a significant proportion of our lives and therefore the right not be marginalised in your work place is essential to being happy. It’s also essential for companies to have systems in place which work for their employees. I used to work in the public sector but wanted to get experience in the private sector. I applied for a few positions and came to JC through an agency. When Dean hired me directly, I chose to stay because I like coming to work here each day and I think we do a great job for our clients. I also think that the values that the firm holds really align with my own. We all get on really well. I feel I can say what I truly believe day to day, both in the work we do and on a personal level.